After years of working together, forging a bond of close friendship in the process, falling in love & post confessing it, we've got two finalists who now have exchanged Varmalas at MCA (Mumbai Cricket Association) Lounge situated at the foot of 'Mecca' of Indian Cricket. Yes, you heard it right, Ladies & Gentlemen. The place where Sachin Tendulkar won his only World Cup Trophy, Chirag is going home with one of his own. They were the favorites since the beginning & they haven't disappointed anyone. It is the commencement of 2 giants, 2 Chartered accountants hailing from the city of dreams, who step into the stadium of Marriage. Sukhada & Chirag. The parents have geared up, the blessings have been showered, the wishes are made & the Bride and the Groom are ready. 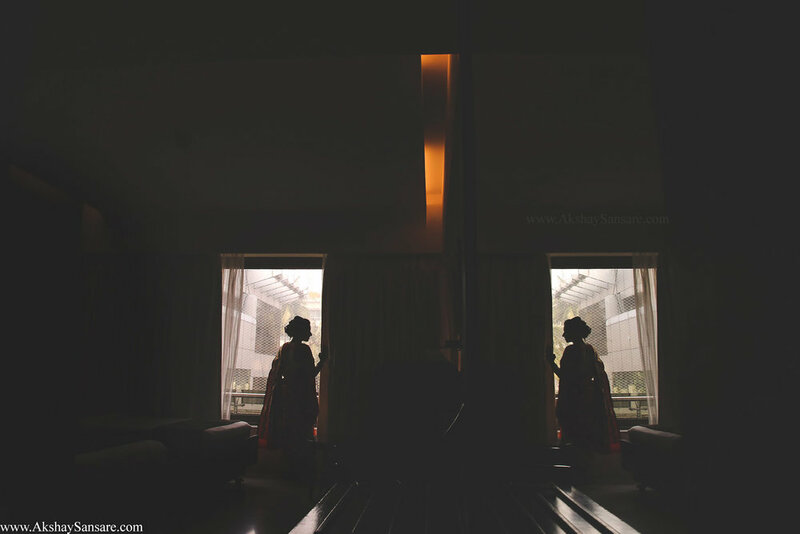 This is Akshay Sansare Photography, and as always we'll take you through the day along with Sukhada & Chirag. A couple of years ago, one fine day, A Gentleman met a lady and he instantly fell in love with her in the first instance. Just kidding. Nothing of that sorts really happened. The first time they met, they were two career driven individuals who were as serious about their work as one can get. They met, they worked together, became best friends and then nature played its part. Slowly, gradually they fell for each other and when the confession was made by Chirag, the love had blossomed from both the ends. The parents were pretty cool about it. 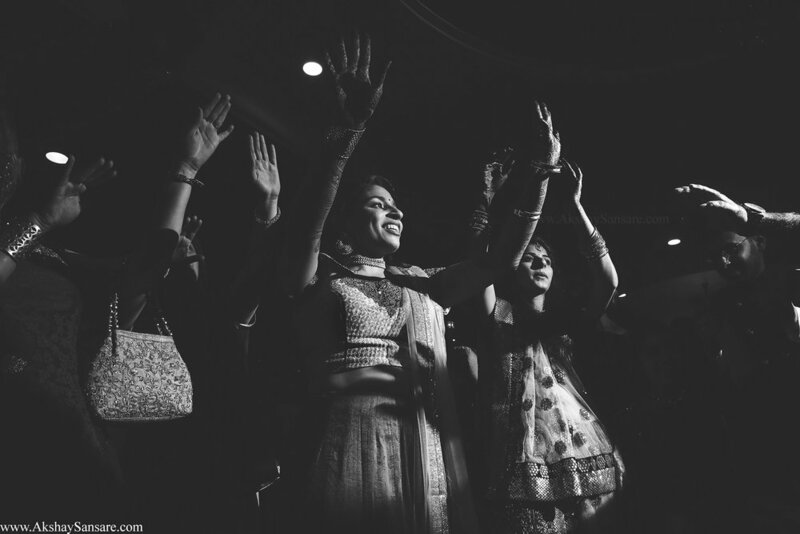 The zeal they carried at the Sangeet was definitely not the one to be missed. Under the lights at MCA, they definitely set the stage on fire. And how can we forget the times we literally failed to recognize Sukhada's mother. She seemed more like a sister of hers having fun equally. 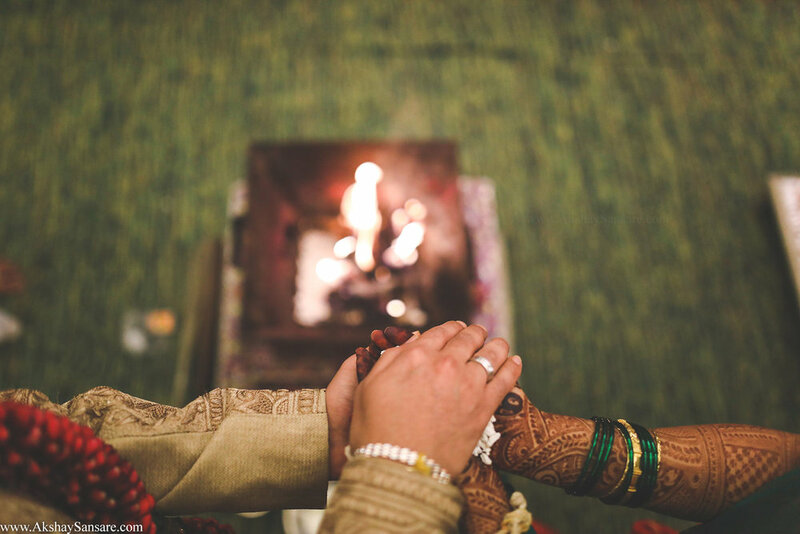 The Wedding ceremony was filled with colors & rituals as both the families welcomed the blend of traditions with both the hands. It was an affair full of laughter, smiles & happy tears and there was no room for anything else. I'm sure the photos will be proof of that. 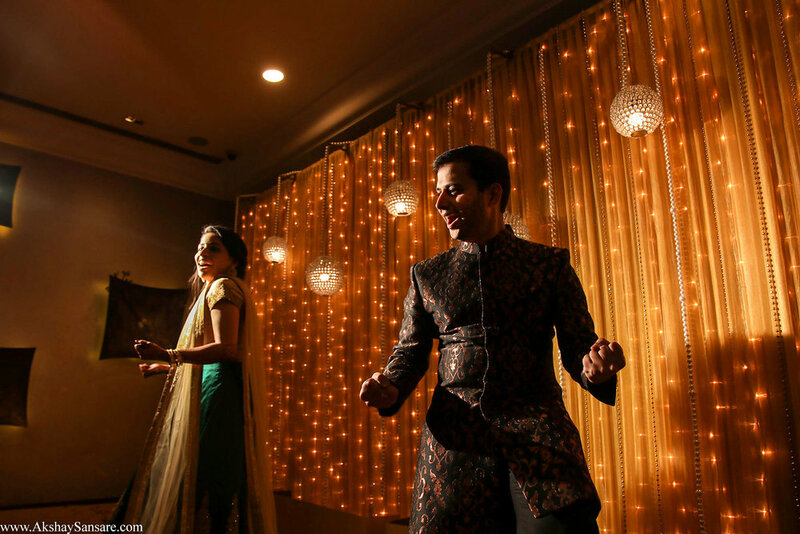 But what we remember most about Sukhada & Chirag's wedding, was an inescapable feeling of love & affection between them, reflecting back upon them by friends & families. Sukhada & Chirag, it was an honour to share this memory with you & your families.